Note: According to people we know in Africa who have been combatting Canned Hunts for the past 20 years, any place that allows contact with lions or their cubs is almost always just breeding them for Pay to Play schemes and then sending them to be shot in cages once they become sexually mature at around 4-5 years of age. 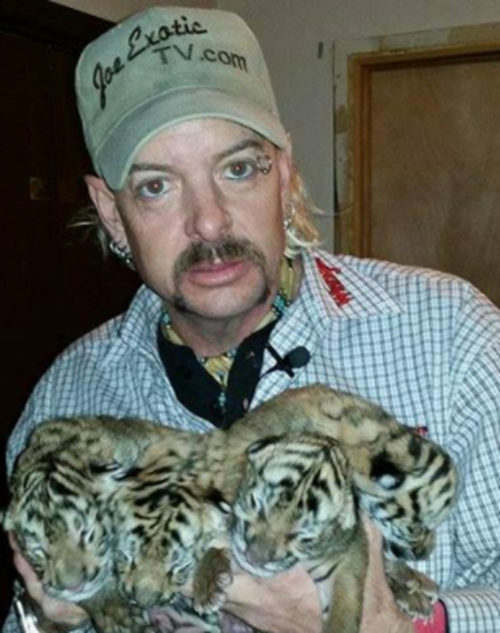 There is NO legitimate sanctuary that will let you pet a big cat cub. JANESVILLE — Julie Konstanz did something last summer she had wanted to do since she was a young girl: walk with lions. She didn’t bargain on the fact that she might step in a pile of giraffe feces. 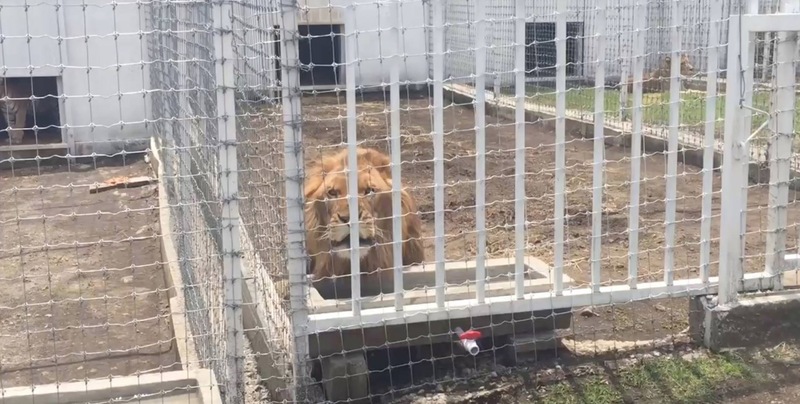 The counselor at Franklin Middle School had saved up $2,400 to pay for the privilege of two weeks working at a lion-rehabilitation program in Zimbabwe in southern Africa. She was with a group of volunteers who were sweeping the brush, looking for poachers’ snares, when the complaints of a woman from Poland distracted her. That’s when she stepped in it. “I can’t believe I’m standing in giraffe poop in Africa,” Konstanz recalled thinking, obviously still taking joy in the experience. Konstanz is one of many who have found that getting dirty for a good cause in a far-off land can be life-changing. There’s even a word for such trips: volun-tourism. Volun-tourists usually pay their own way for the chance to work on projects that they believe will help people or the planet. Konstanz worked for African Lion and Environmental Research Trust, which is fighting the rapid decline of lion populations. The organization puts captive or orphaned lions in large, fenced areas and teaches them how to survive on their own. Their offspring are released into the wild. Konstanz worked through the organization African Impact, which organizes a variety of similar trips on the continent. She researched the organization to make sure she wasn’t getting into something she would regret. Research is key for anyone contemplating such a trip, said John Ferrick, director of international programs for the College of Agricultural and Life Sciences at UW-Madison. Ferrick noted that any Internet search will produce dozens of volun-tour offers, but many of the organizations are not household names, so the prospective tourist should be wary. These questions are all the more critical for isolated regions of Africa or Latin America, Ferrick said. Check with a related organization that you trust to see if the project you are considering is reputable, Ferrick suggested. Organizations affiliated with universities might be more trustworthy. Look through the ads in the Chronicle of Higher Education and call that newspaper to ask about the advertiser. Or find someone who has been on the same tour. Konstanz is satisfied with her choice. She lived and worked with volunteers from a variety of mostly European countries. Most were between 18-24 years of age but some were older, including a few around Konstanz’s age, 44. They were trained in how to be safe around lions, so when a lion pawed Konstanz’s ankle one day, she knew that the correct response was a loud “No!” and a swat across the head. Maintaining a position of dominance is key, she said. One of her jobs was to walk young lions out into the bush and encourage them to climb and play—skills they would need. Experienced handlers were always there to ward off trouble. The danger was real. One manager Konstanz met had been badly bitten in the thigh some years before. Konstanz cleaned lion pens, repaired holes poachers made in the fences and once helped fight a wildfire. Konstanz has been fascinated with lions since seeing the movie “Born Free” as a child. The movie is based on the true story of an English couple who raised an orphaned lion cub and released her into the wild. Still, college, bills and career got in the way. An excursion into the bush in South Africa several years ago only whetted her appetite. She saw wildlife but not the hoped-for lions. Konstanz’s love of lions only grew during the two weeks. A young lioness named Lewa was special. “She would come and sit between my knees and put her head on my lap,” and Konstanz would roughly scratch her neck—lions don’t like gentle petting. On her last day, Konstanz went to the lion’s enclosure, and Lewa came over and put her paw against the fence, opposite the palm of Konstanz’ hand, and breathed on her. It’s a moment she won’t forget and one she wants to repeat as soon as she can save up for her next trip. This is a test comment to see how the spam filter is working.